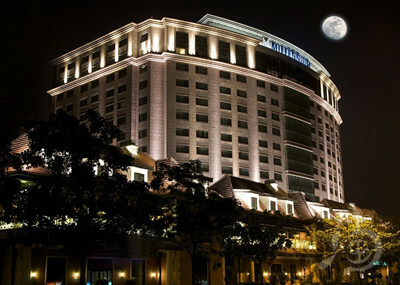 Millennium Hotel Chengdu by Millennium & Copthorne international hotel management group, is located in Chengdu hi tech Zone. From the hotel Tianfu Square in Chengdu, the New International Exhibition Center and Shuangliu International Airport takes only 15 to 20 minutes, and South Railway Station inches away, the transportation is convenient. Oriented scenic Shenxianshu Park Hotel, room open field of vision, beautiful landscape; backed by yew walk street and the bustling Bauhinia District, close to Carrefour and Starbucks coffee, convenient living. All kinds of rooms are decorated with elegant and unique, and the western restaurant offers a rich buffet breakfast for you. In the New Millennium Hotel, you can also enjoy the new millennium Copthorne Manchester Hotel management company''s exclusive loyalty to the customer ceremony, so that you can be in the global scope of all the Millennium Hotel cumulative score and the use of points. Chengdu New Oriental Millennium Minneapolis is newly settled in Chengdu''s international brand five Stars Hotel. Hotel is located in Chengdu hi tech Zone, there is no lack of a variety of restaurants, popular clothing stores and all kinds of entertainment facilities. The hotel has 360 elegant rooms, the window is the scenic Shenxianshu Park, Zhichizhiyao is the famous European style street in Chengdu - yew road pedestrian street. Whether it is business or leisure, whether you want to go to the Chengdu business center, the new international convention and Exhibition Center or Chengdu hi tech park, are very convenient. When you come to Chengdu, the land of abundance, you can don''t miss out on the predetermined unique Hotel London taxi ride, whether you are or to the Chengdu Panda Base 20 minutes drive away from the hotel to the Shuangliu International Airport, the hotel''s London taxi will let you experience unusual luxury experience.